Inside Story, twenty years a chiropractor, and still so much to learn. Inside Story, twenty five years a chiropractor, and still so much to learn. It's a sample chapter from Bats in my Belfry by Dr Bernard Preston, DC. This page was last updated by Bernard Preston on 26th December, 2018. I had enormous respect for the old man. One of my colleagues had once whispered in my ear, ‘If you can’t get a back right, refer them to Dr Coulter before you send them for surgery.’ He was right. Chiropractic, perhaps like all of medicine and in fact life itself, is an admixture of science and art, and he was one of those who had perfected the chemistry. Of course at seventy nine years of age, he had been in practice for over half a century; my twenty seven, in comparison, had a very miserly look about them. Most things, but not all, are relative. Nevertheless, I had to ask myself the question; would I be any better a chiropractor after thirty seven years in practice, and after fifty? What was it that would make me better? More science? Or conferences and seminars? Would lectures on the philosophy of Chiropractic do it? 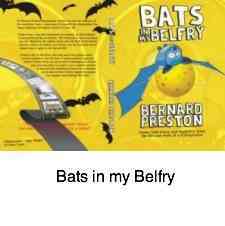 Bats in my Belfry is Bernard Preston's second book of chiropractic anecdotes. When the invitation to dinner with Dr Coulter and his wife arrived I was determined not to miss the evening. Helen and I dressed carefully. She looks stunning in long dresses with bright, large floral patterns: the deep pink Rhododendrons, laced with silver thread on a purple background and my mother’s pearls did her proud. With her long legs she looked lovely. Every man is proud when he can hum, as I did that evening: Pretty woman, walking beside me… Gone were the short, black party dresses that the maths student once wore. The occasion was described as ‘smart casual’ and for once I actually thought about what I was going to wear. Glider pilots for some reason are completely disdainful of such things. Wereld se goed; we wear proudly of another world which has its own sartorial ideas. Eventually I settled for grey pants, smartly ironed with all the creases neatly showing down the front, a long-sleeved white shirt and a dark navy-blue double-breasted jacket and tie. I had often mused over home practices. They have their demerits… but the thought of not having to drive to work… and owning only one car and my dream machine∗ would be more than adequate for us. Only one telephone and one electricity bill. I sighed, starting to add up the reasons why I should be moving my practice to High Whytten. One rates account. Even if only half my patients were prepared to drive up the hill, I would still be better off financially, and I could do carpentry two afternoons a week! I was determined to see what made Dr Coulter’s home practice tick. We saw the sign emblazoned at the door: CONSULTATION BY APPOINTMENT ONLY. Dr Coulter himself answered the doorbell: ‘Welcome. Welcome my dear, you look splendid,’ he said to Helen in the gracious way of a generation now nearly gone. A few relics remain to remind the barbarians that there is another way of living. I noticed the half drunk glass of beer on the table next to the door. Helen noticed it too. One of our rules was: Never start drinking before the guests arrive and for me the first drink had to be soft. Quite often the first two actually, because they don’t even touch sides after a long day in the air. Helen gave me a meaningful glance and raised an eyebrow. We had been over this ground before, many times: Bernard Preston, on occasion, drank too much. That’s the problem of having a carboy of mead bubbling in one corner of the kitchen and a cask of beer giving off aromatic gurgles in another. Inside story reminds us that every doctor has an inner life, quite different to what you see as a patient. He's just an ordinary person really. Our host offered us drinks, but I noticed that he had only a glass of sparkling water with a squeeze of fresh lemon and a few mint leaves. Helen and I circulated in the small crowd of chiropractors and their spouses, all of whom I knew well. It was interesting to note that nearly half of the chiropractors were women. Some patients foolishly don’t want a woman chiropractor. How can they have the strength to do what you do? During my earliest days in practice I had noticed how my senior colleague could adjust almost any back that I could. Perhaps once a month she might send me a huge bear of a man who was too big for her but it was no more often than that. In fact, I eventually realized that women very often make better chiropractors than men, because they are obliged to use skill and timing rather than brute force and ignorance. Every South African can think of diminutive people like Gary Player or the Rose of Soweto∗ who have become great sportsmen. They could hit a golf ball or sting like a bee just as sweetly as any of the giants and were often a lot faster around the field or the ring. Could unskilled, overly forceful or thoughtlessly done Chiropractic adjustments injure a spine? What a foolish question. I stayed close to the old man as I watched him being attentive to his guests. I thought to myself; I bet he treats his patients with the same courtesy. Mrs Coulter was bringing in traditional delights, and I noticed another younger woman, her daughter in law as it happened, was helping. They had been hard at work since early morning whilst I was out enjoying a halcyon day, soaring the hot summer skies. Despite the fact we were colleagues, he thirty years older than I, I had continued to call him Doc. Everybody did, even his wife. Dr Coulter brought the ladies each a glass of wine, a white and a red from the fairest Cape, and I saw him pour what was no doubt his first whisky; a half shot with plenty of ice. I matched him with my first beer. My tongue was hanging out. ‘Oh, I doubt if it’ll come to that,’ said John, hastily. ‘I really value how quickly I can get a set of x-rays. I would never part with my machine.’ I thought of how I could get a set of films back, with a Radiologist’s report, in a couple of hours. I would gladly ditch my machine. I could then treat another couple of patients in the time it took to take and develop those films, instead of having to work such long hours. Adjusting spines was what excited me, not taking x-rays. I held my tongue, keeping my opinions to myself for a change. We ran out of conversation and, as he made a determined move towards Jack Sprat, I silently wished him good luck, and headed over to the bar. I had seen Doc Coulter pouring his second half shot. I could use another beer, I thought. ‘As I was saying: “A toast to the chiropractors of East Griqualand, your spouses and to our other guests. Make yourselves at home and have a wonderful evening.”’ He raised his glass: ‘To our patients and the profession.’ There was a chorus from around the room, and I thought to myself: What a fine toast. This man really has the balance – our patients and the profession, in that order. There were a few visiting chiropractors from neighbouring KwaZulu Natal so, all in all, we were about twenty-five people. ‘No, you should not. No one has the right to criticize my xrays, not here, nor over the phone. Just mind your own business.’ I could see Nolene making her way over towards her husband, firmly taking his elbow, and removing the drink from his hand. ‘I’m sorry; really I apologise,’ said my friend, backing away. He went over to our host, and I could see him pleading for forgiveness for making a scene. Mrs Coulter, wise like her husband, rang the bell even though dinner wasn’t quite ready. ‘Time for supper, everybody, please make your way to the dining room.’ Their billiard table, when turned upside down, made a giant table fit to feast a king. It was beautifully set for the party, with fresh flowers and napkins carefully folded in a fan. I did my bit for King and Country and took the seat next to Jack. For once I was quite sober, and determined to keep the peace. Noleen was sitting on the far side of him, and I had encouraged Helen to sit next to her friend, opposite me. They didn’t have much time to see each other and this was the perfect opportunity. Jack was muttering to himself; ‘Damn cheek,’ I could see him starting to look for a drink, scraping his chair but I was much quicker. ‘Can I get you a drink, Jack? You like a whisky with dinner, don’t you? ’Noleen glared at me, but I gave her a wink. My favourite uncle had been a hotel manager and I had learnt many of the tricks of the trade from him. One of them, he had assured me, is that a man who has had too much to drink has no idea what he is drinking. If he was really drunk, you could give him a glass of tonic on the rocks and he would believe you if you told him that it was a G&T. This was just the right moment to test his ideas.I went over to the bar and, with my back to Jack, so that he couldn’t see what I was doing, I half filled a glass with ice and soda and a tenth of a tot of whisky. Taking half a glass of red wine for myself, I walked back to the table, put Jack’s drink down in front of him and, to distract him, raised my glass: ‘To our host and hostess, thank you for a wonderful evening.’ My ruse worked. Jack raised his glass, took a healthy swallow and was none the wiser.‘Thank you, Bernie, that was damn noble of you,’ Jack said. The dinner was uneventful. Once he had an Eland steak inside him, a healthy pile of roast potatoes and a spicy spinach roll, filled with fried onion and melted Feta cheese, Jack behaved himself. We actually had an interesting discussion about heel lifts, and I reluctantly ended up promising to remove some bees from their roof. Mrs Coulter was Dutch and we were introduced to a Limburg vlaai, a large tart with a pastry base, cream cheese and honey filling, all covered with a layer of East Griqualand cherries and a thick, sweet, cherry sauce. Whipped cream was an option for those like me with no discretion. Helen and I bade our farewells, and made our way to the car, after making sure that Jack and Noleen were heading in the same direction. There was an awkward moment as Noleen headed for the driver’s seat, but I took Jack’s arm: ‘Do yourself a favour, Jack, and do as the good wife suggests. Good night, Stotts.’ I tossed Helen my keys and walked to our car. I never looked back but as we were driving off I was glad to see that Noleen was in the driving seat. A full bladder and a dry mouth woke me early next morning – I always seem to waken in the wee small hours after a few drinks. I sat down and drew up a roster of peer review visits to all the chiropractors in the province, writing my own name at the top of the list. I wrote letters to two colleagues inviting them to join me on the peer review committee, and they were numbers two and three to be reviewed. Dr Coulter would be the chair of those first three assessments. Jack Stott was next. Those six months with Doc Coulter got me thinking. As branch chairman I invited all of our members to spend a morning with a colleague every six months. Jack Sprat and a few others refused but it wasn’t long before other report- backs started trickling in, making me realize our richest resource was our own members. It was another five years, though, before that home practice in High Whytten became a reality. The call to do a three-year stint overseas undid all my planning. Get it instantly on Kindle. The inside story is that your doctor is really just an ordinary person; he too needs to exercise his back, or he'll up in surgery, and stick to healthy choice food in the main, or he too will have a heart attack or get cancer. He too must take holidays, learn how to be still periodically, and talk to God. That inside story is that it's just as important for him, or her, as for you; no more so, but no less either. 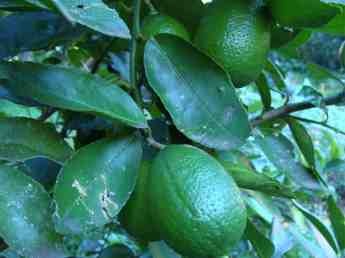 Plant a lime tree or just buy them; that, or a lemon, should daily be on the menu. Lime nutrition. Would you too like to live a life without medication? Or, almost totally with medication? Really, it is a reality. It can be your inside story. I've had two prescriptions for antibiotics, and no other drugs, in the last eight years. And one was for a misdiagnosis. I had Shingles not sinusitis. The other for an abscess after an inept dentist missed the second canal in a botched crown. How? you demand to know! Of course. Start exercising EVERY DAY. Just how is your call. Walking, gardening, swimming, cycling. Couch potatoes have only pain and drugs to look forward to. Start to eat a minimum of 5-10 coloured fruits, salads and vegetables every day. It's so easy.For example: An apple for breakfast.Hummus on bread for lunch. A salad for dinner. Update: 8 gives you 35% all cause of death protection. 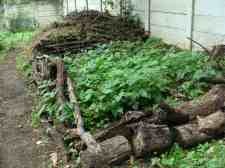 Start a veggie patch in the garden this summer. Room permitting make your own compost pile, or a COMPACT COMPOST TUMBLER and composting with small rotting sticks from the garden, and kitchen waste. Exercise your brain. Crosswords, Sudoku, chess, bridge, books... think! Take a proper holiday every year. I could add more to the inside story of chiropractic, but that's a start! A good one.